Whether your company requires specialty moving services right here in Southern New England, or if you are plotting out commercial moving logistics and international moves from the Cape, Plymouth Rock Moving & Storage can help you to achieve your goal. We have an entire team dedicated to providing top quality commercial moving services that go above and beyond a simple, straight-forward relocation. We even specialize in trade show moving services in MA, assisting with the logistics, know-how, and equipment required to mobilize your assets from one end of the country to the other throughout the industry trade show season. Whatever you need – and wherever you need it – Plymouth Rock Moving & Storage can facilitate your move. 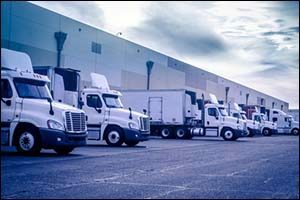 Unlike other moving companies in Massachusetts, we are able to approach each and every client request as a unique and individual move that requires different commercial moving logistics based upon what needs to be moved, where it needs to be moved, and how it needs to get there safely, securely and without causing stress to our client. Our many years of experience working with a diverse array of businesses across many different professional industries has helped us to provide superior services to each and every commercial client we serve. Custom estimates are provided after a visit to your location so that we are able to do a visual assessment of all the things that you need to be moved to ensure that we have the equipment and manpower available to get the job done right. When you call Plymouth Rock Moving & Storage, you don’t just get the basic services you will get from other moving companies in Bourne, MA and the SouthCoast region, you get top quality services that are backed by our association with Mayflower Transit, Inc. and UniGroup Logistics. Many of the industries that we serve require specialty moving services for high value, sensitive, over-sized, over-weight and odd-shaped equipment. We work with the medical industry to provide transportation of equipment to hospitals, clinics, urgent care facilities and practices alike. We also work with the retail industry, helping businesses relocate their businesses – including international moves from the Cape – and set up brand new storefronts from start to finish. We understand the needs that our commercial clients have regarding the transport of high-value equipment and we have the knowledge, experience, tools, and equipment to provide these services with professional results. Whether you work in an office or industrial setting, our team of commercial moving logistics experts can help you to coordinate the move with our packers, drivers and transport experts for top quality standards. We have worked with the telecommunications industry, providing excellent moving experiences for base transceiver station (BTS) equipment, generators and service parts for on-going support, offering specialized attention to detail every step of the way. Make sure to ask about rollouts, which can include after-hours delivery times to minimize downtime and disruption, debris removal and other custom rollout services that can be catered to suit your needs and expectations. One of the areas that we have become extremely specialized in is trade show moving services in MA. As a result, we are now able to offer superior services and commercial moving logistics for clients who exhibit, sponsor or put on industry trade shows anywhere in the United States and in over 200 countries around the globe. Our association with Mayflower Transit, Inc. and UniGroup Logistics gives us access to all of the top equipment and connections required to make international moves from the Cape for trade show and expo moving, assisting with temporary storage situations, setup and many other unique and individualized services. Our commercial moving logistics department can help you with professional trade show moving services in MA – and beyond. Whether you require a white glove moving experience for your trade show booth and equipment or if your goal is to just move your assets from one convention center to another all across the country, our team can help you achieve your goals. We transport thousands of trade show displays, equipment, and promotional materials across the country each year and are able to meet or exceed all of our client’s expectations. We provide a viable, trusted and reliable service for trade show moving in the northeastern states and all across the country for all of our commercial clients. If you are considering international moves from the Cape, need to relocate a business using moving companies in Bourne, MA and the surrounding area, or if you need trade show moving services in MA or around the globe, you can trust Plymouth Rock Moving & Storage to get the job done. Our commercial moving logistics department will work directly with you and your team to provide you with the top quality professional trade show, international relocation, and other specialized moving services. Give us a call at 1-800-340-0995 to get a FREE written estimate for your specialty move.